Click HERE for a limo to the show. 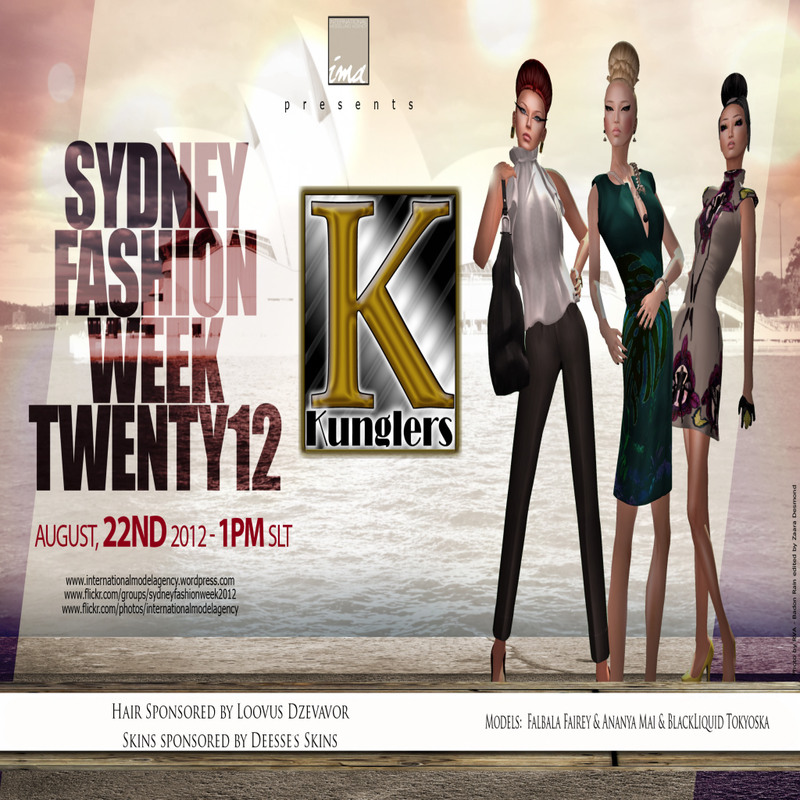 The last SFW 2012 show today from 1pm SLT! Kunglers by Ava Kungler & Barbara Kungler. We willl present the new & chic clothes, jewelry and shoes by Kunglers. Sponsored by Deesses Skins & Loovus Dzevavor Hair. We hope to see you there! Don’t forget to come to the after-party too! Click HERE for a limo. This entry was posted in SL fashion show and tagged event, second life, sl fashion, SL model by Kay Fairey. Bookmark the permalink.